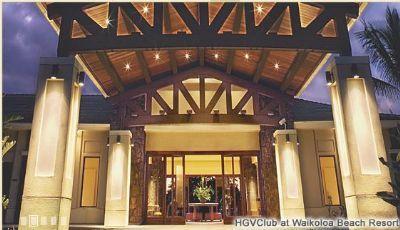 The elegant Kohala Suites by Hilton Grand Vacations Club is magnificently located in the heart of Waikoloa on the wildly beautiful Kohala Coast of Hawaii’s Big Island. 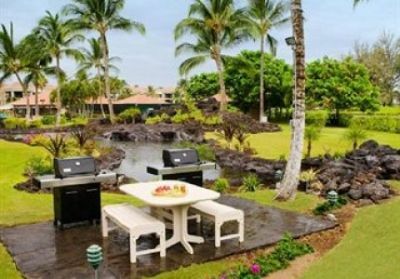 Offering a secluded, idyllic haven, this luxurious Hawaii timeshare combines beautifully appointed suites, gorgeous landscaping, high-end amenities and a wealth of recreational options to create the perfect tropical getaway. 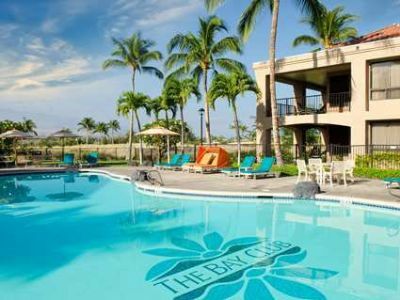 Browse the incredible bargains on the resale market for Kohala Suites by Hilton Grand Vacations Club and purchase one of these exquisite timeshares for a fraction of the developer’s price so you can enjoy your dream Hawaii timeshare holiday every year. 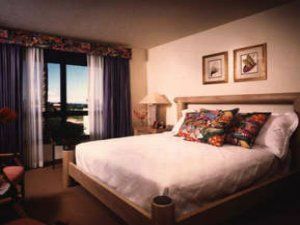 The splendid two-bedroom suites of this magnificent Hawaii timeshare invite guests into a world of gracious colonial-inspired tropical charm featuring colorful local art, ceiling fans and floor-to-ceiling windows. With private lanais, fully equipped kitchen, washer/dryer and complimentary high-speed Internet access, these tantalizing timeshares are the ideal home-away-from-home. Recline in your own in-room whirlpool bath while overlooking lush golf course views. From the gorgeous heated onsite pool to the myriad amenities of nearby Hilton resorts, you’ll never lack for dining, shopping and recreation options. 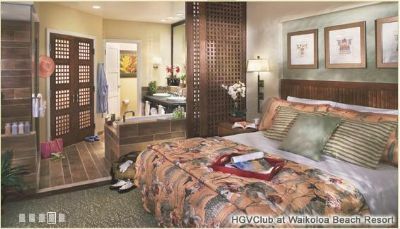 Kohala Suites by Hilton Grand Vacation Club resort guests have full access to the restaurants, shops, pools, beach, fitness center, tennis facilities and assorted water recreation activities at neighboring Hilton Waikoloa Village Resort and the Bay Club Resort. 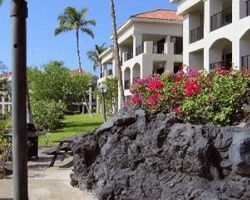 Amenities at the Kohala Suites by Hilton Grand Vacations Club include a heated swimming pool with whirlpool spa and pool bar, as well as a fun-filled children’s play area. Keep up-to-date in the fully equipped business center or just relax and grill some steaks in the BBQ picnic area. Spend your days experiencing the unique delights of Hawaii’s Big Island. Tour a working coffee plantation, witness the awe-inspiring sight of an active volcano, swim with the dolphins or tour an authentic Hawaiian fishing village. Kids will love the exotic wildlife of Panaewa Rainforest Zoo, while everyone can enjoy excellent sport fishing at Kawaihae Pier. Head down to nearby Anaehoomalu Bay, where sugary white sand and well-protected waters offer a picture-perfect spot for snorkeling, kayaking and boogie boarding. The ancient Hawaiian fishponds of Kuualii and Kahapapa lie behind the beach, surrounded by scenic walking trails winding past tide pools, ponds and a turtle sanctuary. History buffs will love the fortress-like temples of Puukohola Heiau National Historic Site, built in 1810 by Kamehameha the Great to unify the Hawaiian Islands. From swimming and snorkeling to SCUBA diving, kayaking, horseback riding, water skiing, and wind surfing, the Big Island’s heavenly climate is perfect year-round for playing outdoors. The onsite outdoor pool at Kohala Suites is a graceful, palm-fringed expanse of aqua water enlivened by cascading fountains; the perfect place to relax after a busy day in the endless Hawaiian sun. Championship golf courses surround the resort, while nearby beaches invite endless water sports or just relaxing in the sun. 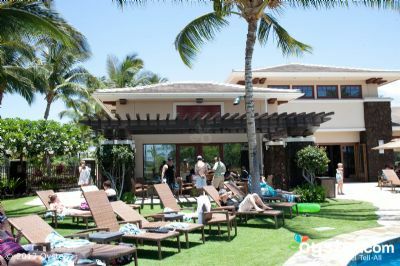 The Kohala Coast is renowned for its incredible natural beauty. Endless white sand beaches, crystalline bays, lush rain forests, cascading waterfalls and bountiful exotic birds and flowers meld into an incredible piece of paradise. With 520 square miles of mountains and rainforests, Hawaii Volcanoes National Park encompasses two volcanoes, including the still-active Kilauea. View it all from the ground on a guided hiking tour or hop on a thrilling helicopter tour of Big Island’s incredible natural wonders. When you become a member of the innovative points-based Hilton Grand Vacation Club, you join a world of incredible leisure travel opportunities, with the option of reserving a week anywhere in the extensive Hilton system of timeshare resorts. 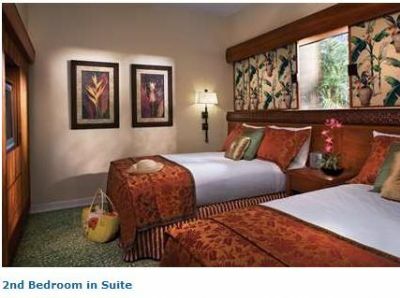 To take advantage of the terrific deals on Hilton timeshares, take a look at the inventory available on BuyaTimeshare.com and save money by buying direct from an existing owner on the resale market. 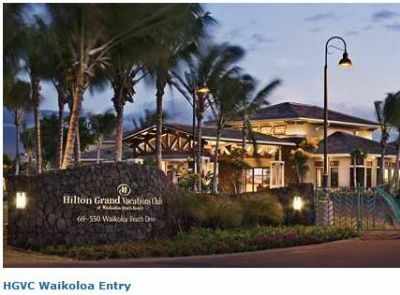 Contact Kohala Suites by Hilton Grand Vacations Club Specialist Today!